MiCS-5524, MQ-3 gas sensors and Circuit Playground Express. Hanwei/Winsen and SGX Sensortech produce a range of sensors for gas detection and measurement. 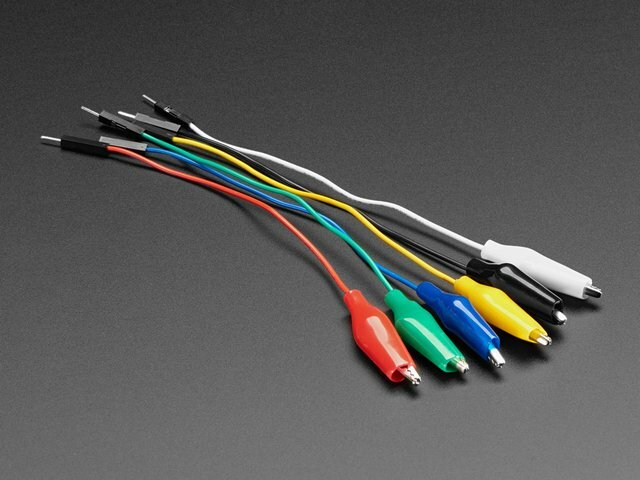 This project demonstrates how to use the MQ-3 and MiCS-5524 sensors. These are based on a heated, metal oxide semiconductor which varies in resistance in the presence of a gas or vapour that can be oxidised - this includes some hydrocarbons, alcohols, ammonia and carbon monoxide. This change of sensor resistance can easily be determined from an on-board potential divider circuit producing a voltage. That voltage can be measured on an analogue (ADC) input. Flammable liquids, vapours and gases can be dangerous especially odourless one. It is best to keep samples small and keep liquids away from ignition sources in sealed containers. In this project a Circuit Playground Express (CPX) board is used, but any board with two analogue inputs could be used. This project requires some very simple soldering to attach 4 header pins to the MiCS-5524 breakout board. 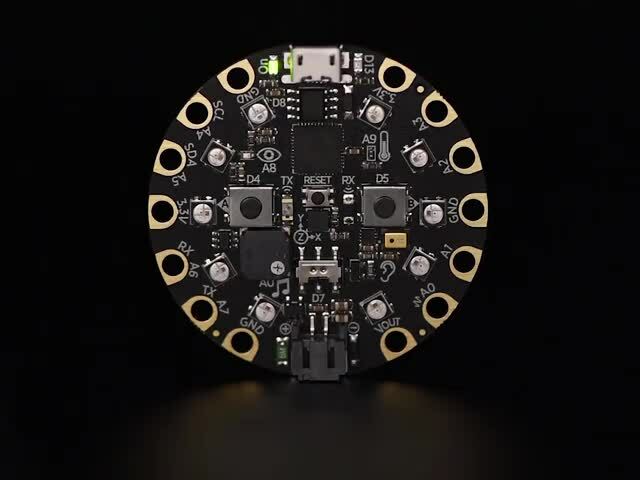 A great sensor-packed development board with seven analog inputs and support for many languages. A relatively low power, 5V metal oxide gas sensor breakout board with enable line. Header pins need soldering. 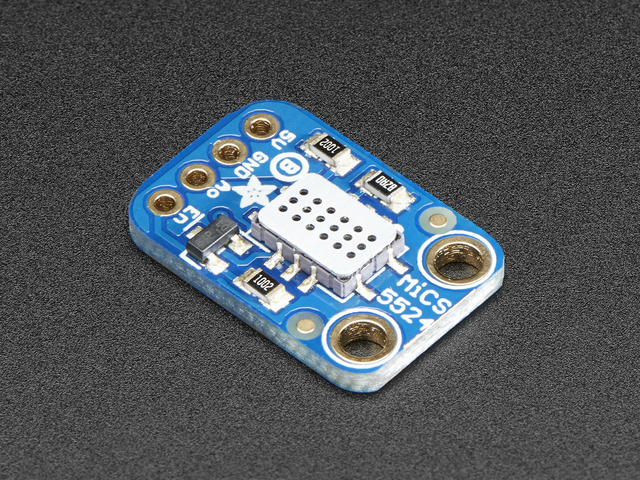 A common, 5V metal oxide gas sensor module. Available from many suppliers. 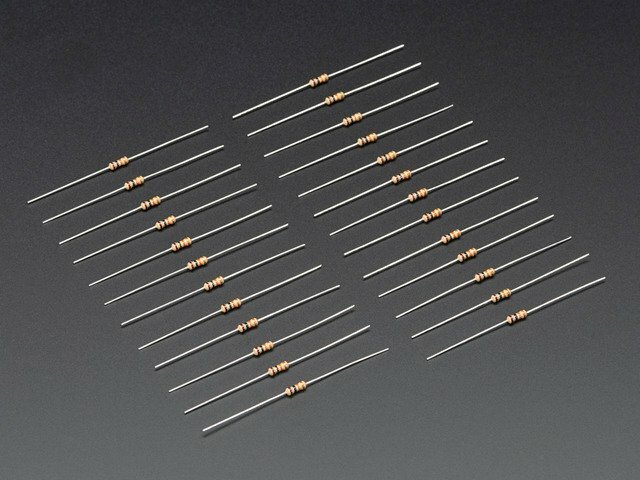 Pinout order likely to vary. Breadboard for sensors. Use the full size if you want to progress to using many sensors simultaneously. Three alligator (crocodile) clips to connect to pads on CPX. One 1K resistor. Two 470 ohm in series or two 2.2k in parallel would work well as a substitute. This guide was first published on Oct 28, 2018. It was last updated on Oct 28, 2018. This page (Overview) was last updated on Apr 25, 2019.